Gao et al., (2018). Treatment of autosomal dominant hearing loss by in vivo delivery of genome editing agents. Nature 553(7687):217-221. Wang et al., (2016). 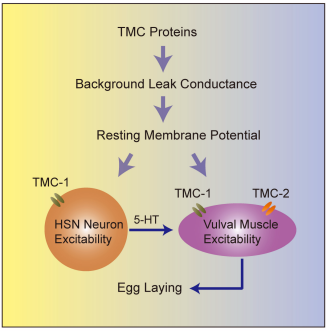 TMC-1 Mediates Alkaline Sensation in C. elegans through Nociceptive Neurons. Neuron 91(1):146-54. Pan et al., (2013). 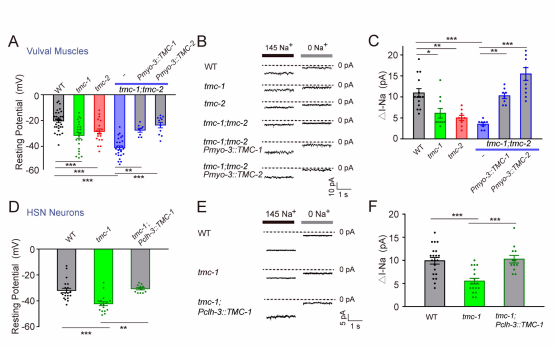 TMC1 and TMC2 are components of the mechanotransduction channel in hair cells of the mammalian inner ear. Neuron 79, 504-515. Wu Gao et al., (2016). 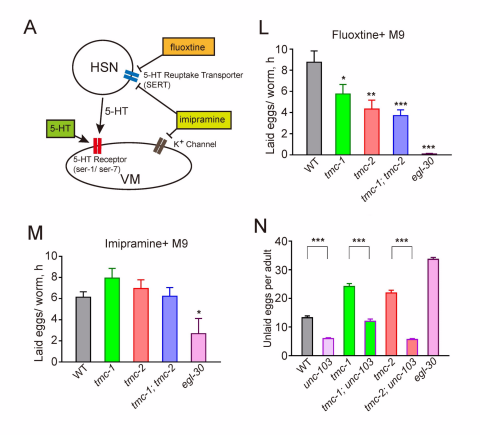 Molecular Identity of the Mechanotransduction Channel in Hair Cells: Not Quiet There Yet. J Neuroscience 36(43):10927-10934.